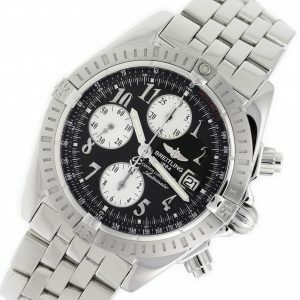 Stainless steel Raymond Weil Parsifal 7260-ST-00208 watch, water resistance to 100m, chronograph, with date. 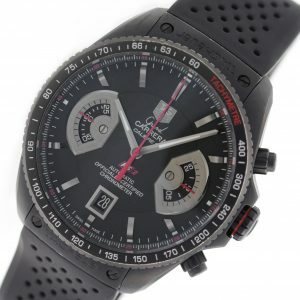 Stainless steel Breitling Chronomat Evolution A13356 watch, water resistant to 300m, with black dial, chronograph, and bracelet. 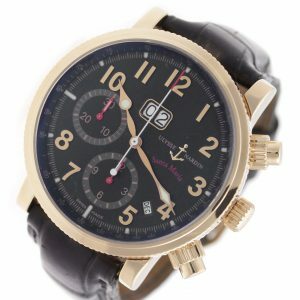 18K Rose Gold Ulysse Nardin Limited Edition Marine Chrono 516-22 watch, water resistance to 100m, with date, chronograph, and leather strap. 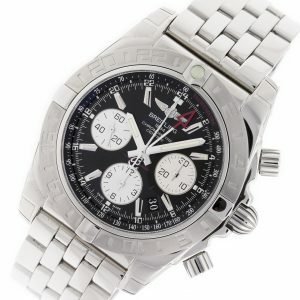 Stainless steel Breitling Chronomat 44 GMT AB042011/BB56 watch, water resistant to 200m, with date, chronograph, and bracelet.